There are thousands of abandoned rabbits at sanctuaries around the world. Please visit one before buying a farmed baby from a pet shop or an online ad. Rabbit Rehome is a website listing rabbits available for adoption across the UK. They also have a directory of rescue centres which looks pretty comprehensive. The RSPCA has rescue centres across the country and lists all their animals for adoption on the website. Rescue Me Bunny is a nice service on Twitter & Facebook that features rabbits from across the country that need homes. Locally (Birmingham, UK) we recommend Fat Fluffs and Wythall Rescue. See our Birmingham Guide for more. Rabbits do not need all that fancy nonsense you can buy for them. Sure, they’ll eat it all up but then they’ll get fat and ill, and you don’t want that. Give them an endless supply of fresh, normal hay that horses eat. This will give them nearly all the nutrition they need and keep their teeth ground down. Top this up with a daily bowl of greens (we buy curly kale) and a palm of quality pellets like Selective to balance the diet. If it looks like human breakfast food it’s no good! Buns gotta run! Ours live in a big 6ft hutch inside a shed with 24-hour access to a 6x12ft aviary which they can run around in. We also give them at least half an hour supervised outside on the lawn to get their motors really firing. Indoor rabbits should have full access to at least 60 sq ft of a room (not a cage). There is nothing more awesome than watching your rabbit run free, as nature intended. The Big Rabbit Hutch is a fantastic resource for planning and buying your rabbit accomodation, inside or out. Rabbit Residence has loads of great photos of suitable housing for rabbits for a range of budgets. Highly inspirational. Rabbits are expensive pets, particularly at the vets. We currently budget about £200 a year medical expenses for each rabbit, which is totally worth it of course. 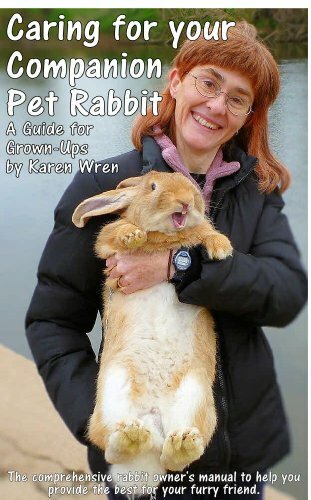 Caring for your Companion Pet Rabbit could do with a copy-edit but is probably the most sensible guide we’ve seen. We learned a lot from this ebook, and it’s very cheap. Plus the cover is awesome! 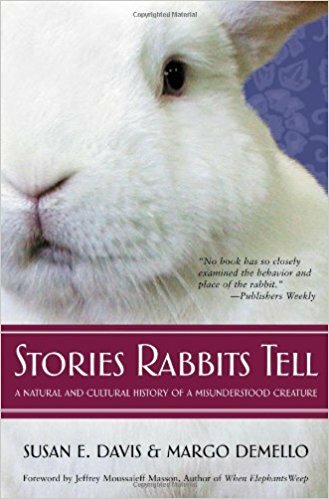 Stories Rabbits Tell is a more in-depth book about the history of the rabbit as a wild animal, ancient symbol, pop culture icon, commercial “product” and domesticated pet. It’s a great way to understand why we have semi-wild prey animals living with us and how that came to be.